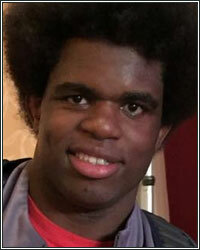 Undefeated heavyweight prospect Cassius Chaney has re-upped with his long-time promoter Main Events. Now 13-0 with 7 KOs, Chaney signed with the Totowa, New Jersey-based promoter before making his pro debut on April 17, 2015. His next bout, the first under his new promotional contract, will be streamed live as part of the November 3 edition of the Golden Boy Fight Night series on Facebook from The Aviator in Brooklyn, which will be headlined by Sullivan Barrera versus "Irish" Seanie Monaghan. Will the 31-year-old heavyweight do it again in his next bout on Saturday, November 3 at the Aviation Sports & Events Center in Brooklyn, New York? Let's just say it's a good idea to be in your seat at the opening bell and stay there. Chaney (13-0, 7 KOs) says training at home in Baltimore makes all the difference. "I'm not training for the knockout, really. I'm just in a better, more comfortable situation, where I'm training and learning for me. It's just happens my punches are stinging guys early. There's a difference when you're training and you know 'if it goes long, I'm good,' or 'if it ends early, that's good.'" Chaney still lives in Connecticut, and begins his training with strength and conditioning work there. But he spends a month in Baltimore to train with Cunningham, staying with his mother and easing into a healthy routine. "Like anything, when you're back home not worrying about too many things, training comes easier. The benefits of being back with my mom, eating her food, the gym isn't that far. I don't know too many people, I train, and I go back home," explains Cassius. Cassius says training at home also helps him relax, and he can just step on the gas in the ring. It also loosens him up, in a good way. "I'm starting to understand it's OK to have fun in there as well. Before, I had to go in and come out with a win, find a way to win. I was so uptight. Now because of the training, the environment, and now my new contract, I know what to do and not to do. I'm more relaxed and I'm getting better. I'll be in shape and I'm always mentally going to be there," said Chaney. Although he loves training in Baltimore, Chaney appreciates his incredible fan base and support in Connecticut. "I get a lot of support and I'm very appreciative of it. It feels great." Chaney is sponsored by several local restaurants and is a proud alumni of Old Saybrook High School and the University of New Haven, where he played NCAA basketball on a scholarship before pursuing a career in the ring. Chaney says he's always learning something new, just as he did when he was earning his college degree. "When I look at getting in the ring, there is something about me - I figure things out, even when I don't have the right resources. Who knows, my ceiling could be so high. I'm still maturing as an athlete, as a person. When I look at the (heavyweight) division, it's all about making the right fights that will help you improve your confidence. I'm in a great division and I'm only going to get better." Chaney is looking forward to adding his name to boxing history in the heavyweight division. "I'm excited to go. Main Events has given me the opportunity to appear in different venues in different places. I'm thankful. I'll be ready to go, and put on a show." Main Events CEO Kathy Duva said of Chaney, "Cassius has so much potential. It was a pleasure to work with him from his pro debut to get him to this point in his career and now, with his re-signing, to be able to take him to the next level. The heavyweight division better be ready for him!" About Barrera-Monaghan: The Saturday, November 3 card, headlined by Sullivan Barrera versus "Irish" Seanie Monaghan as part of the Golden Boy Fight Night series on Facebook, will take place at The Aviator Sports & Events Center in Brooklyn, NY. The event is promoted by Main Events. The action will be streamed live globally on Facebook Watch via the Golden Boy Fight Night Page beginning at 6:00 p.m. PT/9:00 p.m. ET.